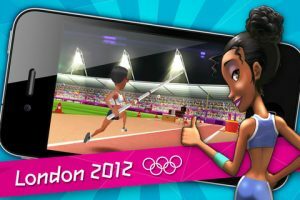 The opening ceremonies for the 2012 Olympic Games in London won’t take place until the end of July, but people all over the world are already getting pumped to see their home country compete. To tide you over, we have an iPhone game to recommend. London 2012 – Official Mobile Game, developed by NEOWIZ Internet Corp., lets you feel like an Olympic Athlete, no matter what your physique. 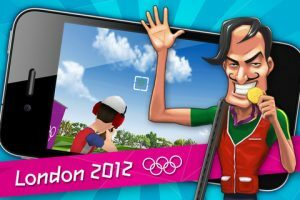 There are 9 Olympic events included in London 2012: 100M, 110M Hurdles, 100m Freestyle, Double Trap (that’s a shooting competition, in case you didn’t kn0w), Triple Jump, Pole Vault, 100m Butterfly, Kayak (K1) and Archery. From the second London 2012 – Official Mobile Game started up, I was really impressed. This iPhone game has such high production values that I felt as though I was playing on a console. This particular title has a very Wii Sports-like feel to it, and I mean that in the most complimentary sense. The music in particular is of a much higher quality than I generally encounter when playing a mobile game. London 2012 – Official Mobile Game has a unique visual style that’s cute and cartoony, and it’s definitely cool that you can customize your own avatar. But what makes the iPhone game really great is that the avatar isn’t just a character that you maneuver around the screen. You actually can improve their stats over time with training, making them into stronger all-round athletes. 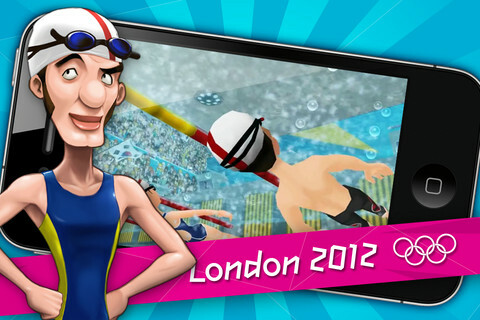 The controls are slightly different for each event, but in every case, they are perfectly responsive and simple to use. In fact, the controls are pretty much perfect all around: they’re basic enough that you can put your own twist on how to use them, just like any classic addictive arcade game. 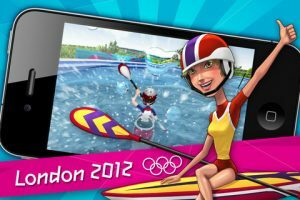 Combing authentic London 2012 Olympic venues with gorgeous graphics, great audio, and addictive gameplay, London 2012 – Official Mobile Game might just be one of the best free iPhone games you play this year. In fact, it’s so good, I’d willingly pay for it. 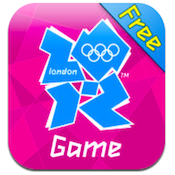 London 2012 – Official Mobile Gameis compatible with iPhone 4, iPhone 4S, iPad 2 Wi-Fi, iPad 2 Wi-Fi + 3G, iPad (3rd generation) and iPad Wi-Fi + 4G. Requires iOS 4.0 or later.